We will use it for the water supply pipe of the pump. 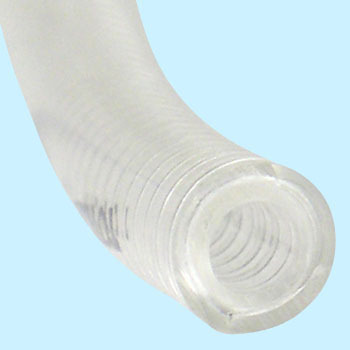 As the inside looks transparent, you can use it conveniently because the suction is well understood. This review is about item#9486145. Built-in metal spring, the wall is also thick, so it is a good product that is soft. You can use it with confidence. However, this product should have been singing on that day. I ordered at 10 am on the day but it was 2:00 pm the next day. I could not make it on time to start work on site. I am not much contacted late and I am very dissatisfied. Used as a hydraulic hose of a wood splitting machine. Since it is for suction, there is no problem with pressure resistance. Because it is transparent, it is convenient to see the dirty oil. This review is about item#9486127. This review is about item#09486197. Since it is a maker item, it was used for nearly 30 years. It is heavy and cheap so it is heavy. It will hurt if it gets repeated heat. Rust may enter from the spring part of the cut, so be careful. Such a time is packed up or exchanged. MonotaRO is cheap. This review is about item#09486321.